Chlamydomonas is part of the domain Eukarya for many reasons, all the species of its genus posses membrane bound organelles such as a nucleus, chloroplast, mitochondria, and a pyrenoid. Its flagella, like other eukaryotes, consist of an axoneme with microtubules in a 9 + 2 configuration instead of a being powered by different rings within a basal body like most prokaryotes, the flagella are powered by different dynein protein motors. Furthermore Chlamydomonas has DNA in the structure of linear chromosomes while prokaryotes possess circular DNA. Chlamydomonas is part of the kingdom Protista for many reasons one being that they require some type of a water based environment in forms as marine water, fresh water, moist soil, or even snow. Chlamydomonas also classifies as a protist because it is aerobic like other protists which can either have mitochondria to do cellular respiration or have chloroplast to do photosynthesis, an advantage that Chlamydomonas has however is the ability to do both. Chlamydomonas is organized into the phylum Chlorophyta for many reasons, one being the fact that most members of Chlorophyta including Chlamydomonas are photosynthetic and either multi-cellular or single celled. Also Chlamydomonas doesn't store its food as glycogen but as starch. Chlamydomonas like must members of this group contains chlorophyll with pigments a,b, and b carotene. Chlamydomonas is a member of the class Chlorophyceae mainly because most members of this class possess flagella arranged in a certain way, Chlamydomonas having an arrangement of two flagella position next to one another at the cell's apex which it uses in a breaststroke like motion. Another property members of this class have is that they all have a haploid life cycle in which the only diploid structure is a zygote, which develops into a zygospore to withstand harsh growth conditions. Chlamydomonas belongs to this order because like most the other members Chlamy is a unicellular flagellated cell. Though many of the other members of this order exist is colonies, Chlamydomonas is a solitary cell. Also most members of this order have two flagella arranged in a specific way at the apex of the cell body. Chlamydomonas falls into the family Chlamydomonaceae because it possesses crystalline cell wall components instead of having a cell wall made of cellulose Chmaydomonas has a cell wall mostly composed of hydroxyproline-rich glycoproteins. All members of the genus Chlamydomonas are unicellular and also capable of producing flagella. One of the unique features the genus Chlamydomonas possesses is that they contain protein ion channels that are capable of being directly activated by photons of light. 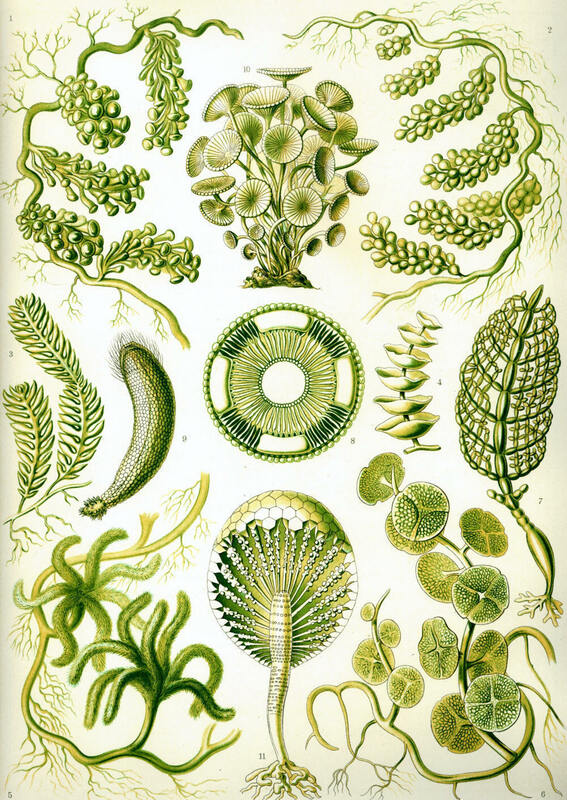 C. reinhardtii is a very popular single celled algae which classifies into all the groups above, but a couple interesting things at the species level is that C. reinhardtii primarily does photosynthesis but is able to become a heterotroph in the absence of light by using acetate as a source of carbon.